What Is The Circadian Rhythm and Why Is It Important? Home Fitness & Lifestyle What Is The Circadian Rhythm and Why Is It Important? Takeaway: Maintaining a healthy circadian rhythm is key to keeping your body and mind working right. 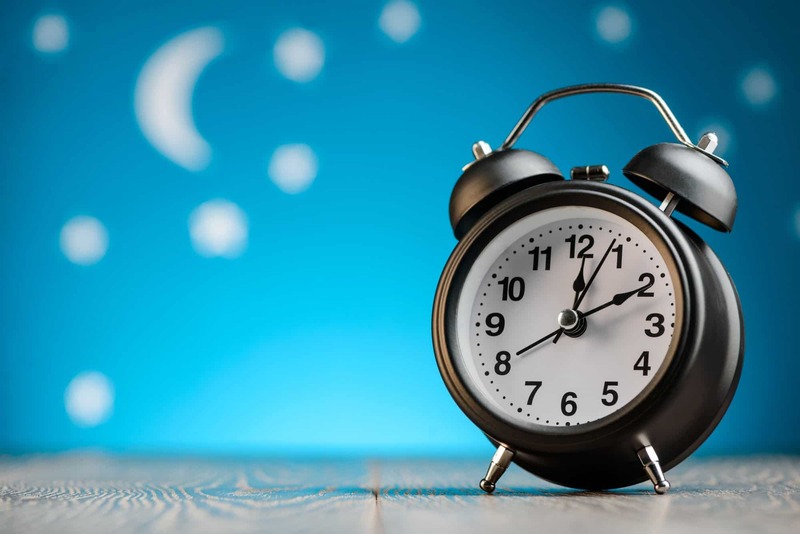 By working to keep all of the factors involved in the body’s circadian rhythms, such as melatonin, cortisol, body temperature, light exposure, and food intake, you can be sure to always get a good night’s sleep. Although research is still being done, it’s clear that circadian rhythm disruption can cause way more trouble than it’s worth, so think twice next time before you take that three-hour nap. If you’ve ever wondered how your body knows that it’s time for bed, or how you’re able to wake up at the same time every morning, look to your circadian rhythm. While this biological process is responsible for making sure you get the right amount of healthy sleep at the right times of the day, the results are important for keeping your entire body and mind in check. If you want to know why your sleep schedule might be entirely out of whack and how to fix it, read on about the body’s circadian rhythm. The body is able to regulate when you should sleep and when you should wake up because of its circadian rhythm. By maintaining this careful balance within the body, you will have a similar routine of feeling energized and drowsy each day. Because of this, you’re able to maintain a healthy and regular sleep schedule, but how does it work? The human circadian rhythm is a biological process that can be explained as a 24-hour internal clock that’s always running in the back of your brain. Your circadian rhythm cycles between sleepiness and alertness regularly, which is known as the sleep/wake cycle. The circadian rhythm is endogenous which means that it’s a cycle that is built-in to the body and should be self-sustained. The body’s circadian rhythm’s main function is to maintain a healthy sleep cycle. It does this by evaluating several internal and external factors including light, body temperature, and food. However, this cycle can be thrown out of alignment relatively easily through circadian rhythm disruption. General circadian rhythm fatigue is a result of the body’s natural downtime being triggered at inappropriate times leading to a variety of sleep disorders. Delayed Sleep-Wake Phase occurs when your sleep pattern is delayed by two or more hours. This leads to a person going to sleep later at night and sleeping in later in the morning. Advanced Sleep-Wake Phase causes people to fall asleep several hours before their regular bedtime. This circadian rhythm sleep-wake disorder then results in waking up hours earlier than most people wake in the morning. Irregular Sleep-Wake Rhythm happens when a person’s circadian rhythm is so disorganized that there’s no clear sleep or wake pattern. Someone with this disorder may sleep off and on and take a series of naps over the 24-hour period. Non-24-Hour Sleep-Wake Rhythm is a free-running circadian rhythm sleep disorder that causes your sleep time to shift later and later in small intervals every day. Your sleep time may go in and out of alignment with others over time. Shift Work is a sleeping disorder that occurs mostly among those with non-traditional work schedules who work shifts while most people are sleeping. This can cause your sleep to be poor and create consistent feelings of exhaustion. Jet Lag is possibly the most common form of circadian rhythm disruption, as it occurs when one travels across multiple time zones. This can make it difficult to adjust to the new sleep schedule. Melatonin is the primary hormone synthesized and secreted by the pineal gland, produced from a pathway that also includes the mood regulators tryptophan and serotonin. Melatonin secretion is lower when your body is exposed to the sunlight throughout the day and goes higher when the day gets darker. This careful balance helps to maintain the body’s circadian rhythm. Your circadian rhythm can be altered by anything that causes your body to get less light during the day or too much of it at night. This disrupts the body’s normal melatonin cycle making it harder to fall asleep at night and wake up in the morning. In addition to limiting your light exposure at night, melatonin can be taken as a sleep-aid supplement to help induce a good night’s sleep. Circadian rhythm disruption can not only cause several sleep disorders, but it can also lead to a variety of psychological disorders. This is mainly due to disruptions in the natural balance of essential circadian rhythm hormones and related hormones such as melatonin and serotonin. Although research is still being done in this area, it’s clear that a healthy circadian rhythm is vital to helping the mind stay healthy as well. Depression has been found in research often among individuals who have abnormal circadian rhythms. This is due to key balances being thrown off that interfere with restorative sleep such as average core body temperature and cortisol being higher among those with depression. In addition to this, the daily increase and decrease cycle of melatonin production is diminished among those with depression, interfering with the balance the body needs to facilitate good sleep. Anxiety also often goes hand in hand with sleeping problems and circadian rhythm disruption, being common symptoms of the psychological disorder. However, research shows that circadian rhythm disruption may be a cause of anxiety, rather than a symptom. This is demonstrated by the fact that abnormal cortisol circadian rhythms were seen among individuals with anxiety. Seasonal Affective Disorder occurs in some when the days are shorter during the autumn and winter months. This alters the circadian rhythm and increases depressive symptoms due to a disruption in the body’s melatonin balance. In order to treat this disorder, many psychiatrists prescribe light therapy devices to patients to simulate light that isn’t being received naturally from the sun. 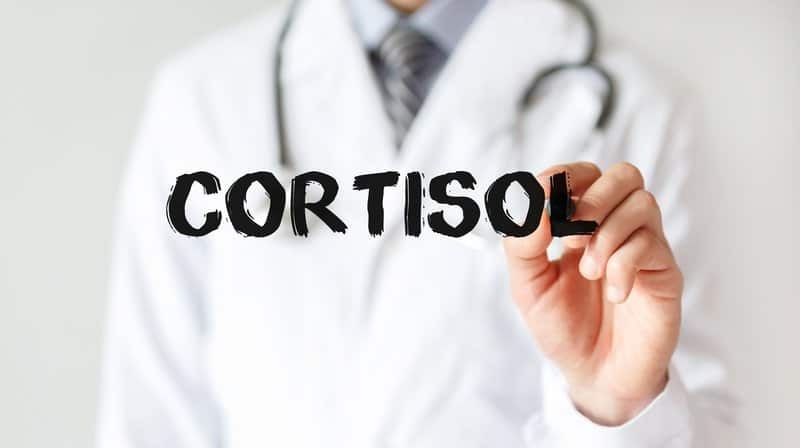 The stress hormone cortisol, which is secreted by the adrenal glands, is one of the main elements involved in the circadian rhythm alongside melatonin and core body temperature. Cortisol levels should be highest in the morning upon waking up, helping us get enough energy to start the day and last throughout. Levels of cortisol are lowest around midnight, which helps relax the body to induce deep sleep. It’s important to keep a healthy sleep balance because cortisol levels can cause issues when too high or too low. According to Dr. Purvi J. Parwani, a cardiologist at Loma Linda University, research shows that cortisol levels rise with excessive sleep. Also, due to its role as a wake-promoting hormone, an excess of cortisol can contribute to insomnia. In order to normalize cortisol levels, try to decrease stress or take vitamins C, B6, zinc and magnesium. Food is one of the three main signaling factors that affect the circadian rhythm, alongside light and movement. Each has its own circadian rhythm within the body, so if you spend the day fasting, you’ll be suppressing your liver’s food circadian rhythm. This can cause issues if you only activate this cycle during the evening when you start to eat because your body will be spending extra energy on digestion that it should be conserving to induce deep sleep. Expose yourself to natural sunlight in the morning for 5-10 minutes and start moving after waking up. This will counteract the drowsy effects that your body will naturally have after a night of rough sleep from potentially improper eating times. Conversely, avoid bright lights at night right before bedtime. Restrict your caffeine intake during the day. Because caffeine lasts so long in the body, with a half-life of 50%, you should avoid ingesting it past 2:00 pm to prevent it from interrupting your circadian rhythm. Eat carbs and protein for dinner. This is because both are a good source of tryptophan and serotonin which promote relaxation and will help you sleep better. Light is one of the main factors in the body’s circadian rhythm, signaling when the body should start producing cortisol or melatonin to either wake you up or put you to sleep. This is all controlled by the light-sensitive portion of the brain called the suprachiasmatic nucleus, or SCN. If your body is exposed to too much light late at night, melatonin can be suppressed, and cortisol can be raised making it hard to get to sleep and induce a deep sleep to provide energy for the next day. In humans, it has been observed that a lower intensity blue or violet light is actually more effective than a higher intensity white light at disrupting circadian rhythm. Blue LED light, like the type our phone and laptop screens emit, suppressed melatonin production five times more than orange-yellow light. This can lead to depressive symptoms and insomnia, so try to utilize a blue-light filter on your devices at night or try to cut down on late-night device usage. During an average circadian rhythm, your core body temperature drops when sleep occurs. Usually, sleep begins when the rate of temperature change and body heat loss is at its highest, which a cooler body temperature associated with sleep and a warmer body temperature associated with energy. An average adult’s lowest body temperature happens at around 5:00 am, or two hours before the time you wake up. If you find yourself waking up in the middle of the night due to your body feeling cold, there are ways to lower your skin temperature to avoid this. Cooling pajamas made from bamboo fibers can help to lower your skin temperature as much as one degree Celsius, helping to keep you asleep throughout the night and wake up at a reasonable time. Taking a bath 60 to 90 minutes before bed can have a similar effect due to the drop in body temperature you’ll experience once it’s done. Now that you know just how important a balanced circadian rhythm is, you probably realize how pertinent it is to get yours back on track. Luckily, a disrupted circadian isn’t hard to reset. To find out how to reset your circadian rhythm, check out the following tips. It may seem like a no brainer, but it’s important to do the same activities and go to bed at the same time every night before going to bed. Your body will get used to this pattern and see these activities as its cue to start getting ready to sleep. Because light plays such a significant role in affecting your circadian rhythm, it’s important that the light you are exposed to reflects the time of day. In the mornings, expose yourself to bright white or blue light to tell your body that it’s time to suppress melatonin. At night, keep lights dim or off to tell the body that it’s time for sleep and avoid any blue light emitted from device screens right before bed. Research suggests that doing a 16 hour fast by eating dinner at 4:00 pm and waiting until 8:00 am for breakfast will help your body get back on track. Because your body uses energy to digest food eating right before bed can make it difficult for your body to relax enough for proper deep sleep. You should also limit your caffeine intake and avoid it entirely for at least six hours before bedtime. 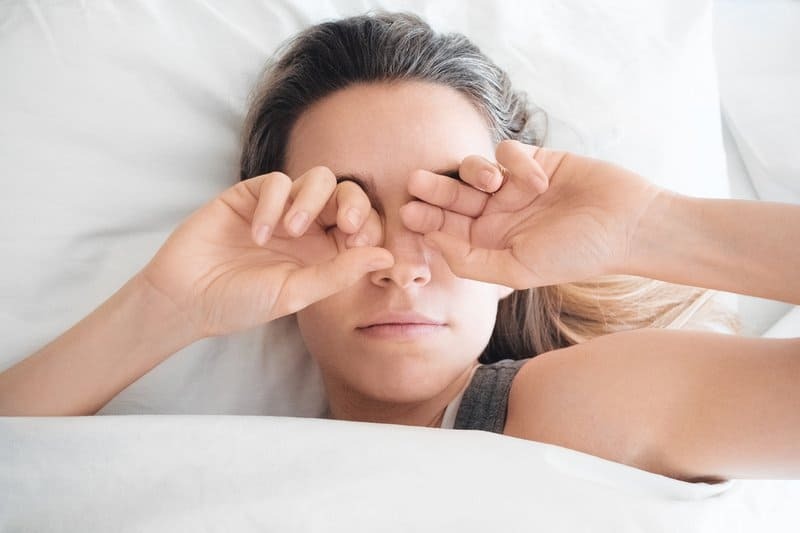 It may be tempting to sleep in later on the weekends, but doing this can actually throw off your sleep schedule and make the start of a new week much more difficult. A midday nap may also seem tempting, but any nap longer than 20 minutes might make it harder to get to sleep at night and have a healthy restorative sleep.